All MCPS High School students may enroll at Thomas Edison High School in Information Technology courses easily. Just fill out an application and select which courses you want to take. Students at Clarksburg High School may simply see the school's counselor to enroll! You can purchase a computer — reconditioned by students in the Information Technology Foundation (ITF) program — at a used computer sale held three times each year. These computers have been refurbished by students in the Network Operations program. 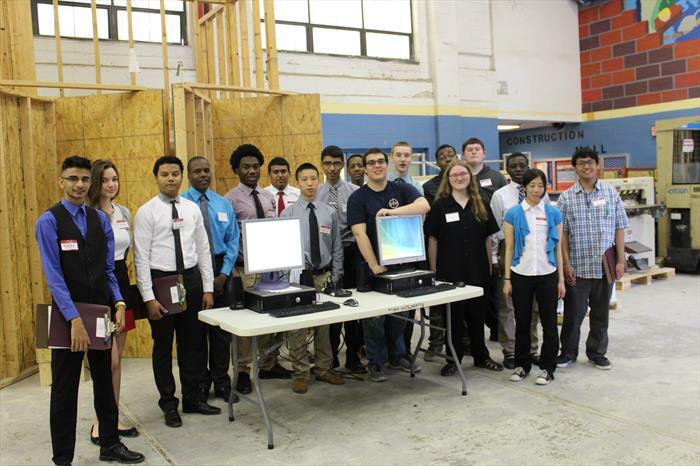 The ITF is a nonprofit organization established cooperatively by the Montgomery County business community and Montgomery County Public Schools to provide a unique method of training high school students for skilled positions in the IT field: a student-run computer sales business. Students are introduced to potential employers with available positions in technical service, customer service, sales and management. Check our our video promoting the IT program. The Information Technology Foundation relies heavily on support from the community. The ITF is always in need of 17”+ flat panel LCD monitors. To donate a monitor, please contact The Foundations Office at 240.740.2050.